What on earth is the Fezziwig Ball?? The Fezziwig Ball comes from Charles Dickens’ story “A Christmas Carol,” the no well-known novel about the rich miser Scrooge and his change of heart through several ghostly visits on Christmas Eve. Published in 1843, the novel had a rough start but once in the hands of a better publisher because wildly popular. The book is well known in film as well: there are at least 28 versions of “A Christmas Carol” adapted for the screen. The Fezziwig Ball is described in the visit of the first Ghost to Scrooge, the Ghost of Christmas Past. The GCP takes Scrooge back to his youth and early working days, when he was apprenticed to Old Fezziwig in his warehouse. Fezziwig generously hosts an annual Christmas dinner and dance for his employees and neighbors. So that’s where we get our name, the Fezziwig Ball. Considering that the book “A Christmas Carol” was published in 1843, and the Fezziwig Ball takes place in Scrooge’s youth, it’s very plausible that the dances we do would have been correct for that era. 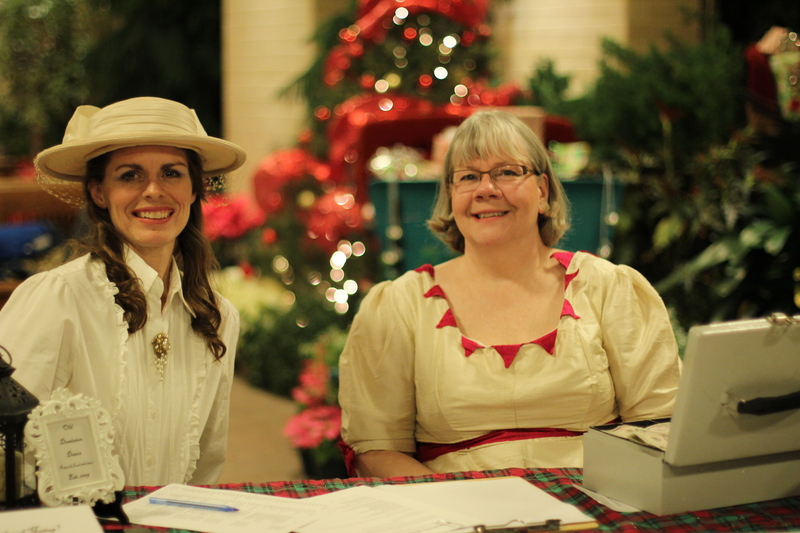 At our Fezziwig Ball we have several talented volunteers to act out scenes from the novel. Since we only have short intermissions to do this, it can be confusing to anyone who hasn’t read the book or seen one of the movies. Here’s a run-through of the scenes that will take place at our Fezziwig Ball. First intermission: We go back in time to Scrooge’s counting house where he sits with his humble clerk Bob Crachit. Scrooge’s nephew Fred arrives to wish his Uncle Merry Christmas, and it doesn’t go very well. Second intermission: Scrooge encounters the ghost of his old partner Jacob Marley, who implores Scrooge to change his ways and become more good-hearted. Middle of the last set: Scrooge, after being visited by the three ghosts, realizes the error of his cold ways and decides to celebrate this Christmas with joy. Tiny Tim joins him to wish God’s blessings on all present.